Pottery for all in a relaxed, friendly atmosphere. In Accrington, near Junction 7 of the M65, so easy access from Burnley, Blackburn, even Preston or Bury. 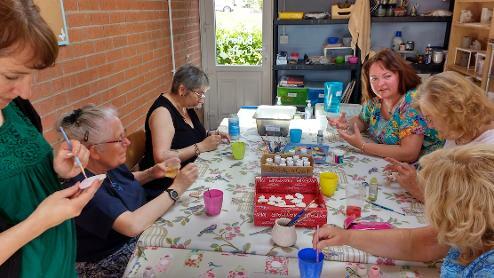 You will learn various hand-building techniques (pinching, modelling, slabbing, coiling) and make items such as a poppy, hanging ornaments, an owl, a tea-light holder, a snowman, a vase etc. Please note no potter's wheel is available. Drop in: £16.00 for all, from beginner to advanced, for occasional potters. Please contact me before to check on availability. School holiday price: £14.00 per person per session applicable to all levels, 'pay as you go'. Materials, tools & two firings included for regular visitors. There might be a small charge for large items, or for subsequent firings (£3/kg), in case of re-glazing or use of decals. Discount for advanced potters: please get in touch. Initially everyone is to pay for a course at Beginner/Improver rate. A shorter session, mostly aimed at children under 9 (each child to be accompanied by an adult helper). Older children 9 -14 to be accompanied by at least one participating adult. 2 people: £24.00, 3 people: £34.50, 4 people: £45.00. All inclusive except glazing & glaze firing. Please do not hesitate to contact me if you require more information. Above top: Ellie and Jane making love hearts for Valentine's day. Above: students' work andJasmine making an elephant. Left: yarn bowls painted at Accrington Yarn & Stitchers. Top left: Needle felted jewellery and Christmas ornaments. leave a review on Google. Thank you! If 2 of you or more are interested in any of the workshops, I can schedule one just for you. Note your work will not be glazed. Can be painted with acrylic paints or book a glazing session 10.30am - 3.30pm, bring your own pack lunch, hot & cold drinks, biscuits and fruit provided. Make a ceramic tortoise - £12.50 all inclusive. 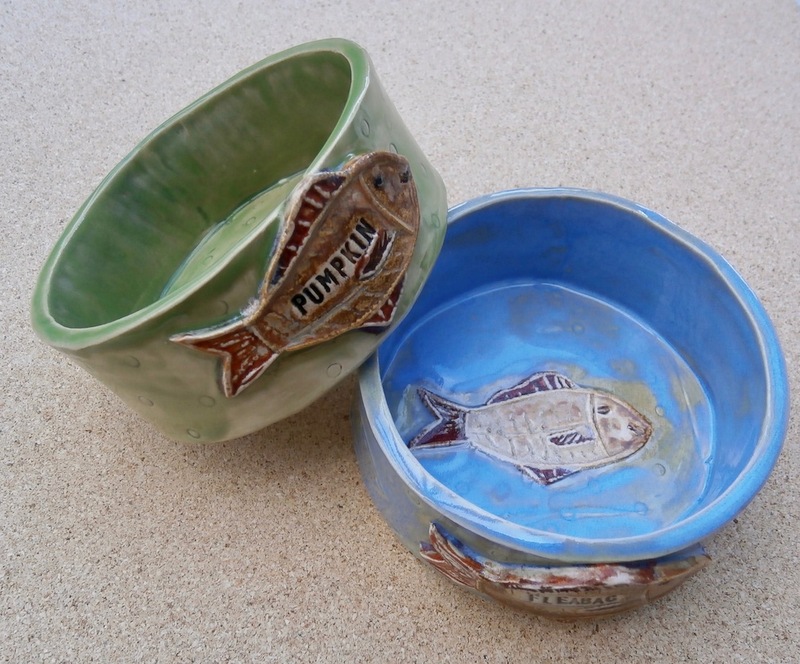 You'll use underglazes to add some colour to your creation, and I'll put a coat of clear glaze if required. Suitable for 5+ Free for adult helpers. under 9s to be accompanied by an adult helper. Older children 9 -14 to be accompanied by at least one participating adult. For children and adults alike! Make a fun fairy or elf door to put in the garden or house. Loads of designs to choose from or you can let your imagination run wild! Templates provided as well as step by step instructions. You'll use underglazes to add some colour to your creation, and I'll put a coat of clear glaze if required (£2.00 extra). £12.00 for cash payments, please contact me to arrange it, other forms of payment may incur a fee. Note: payment will secure your space. Thanks. Suitable for 5+ Under 9s to be helped by an adult. Free for adult who help and don't make their own door. Adult helpers to contact me directly to book their free slots. Maximum 2 adult helpers each session, but I can also help one child. From £12 (1 hand or 1 foot). By appointment. You'll be making a Ceramic Snowman using the pinching method, and possibly a couple of Christmas ornaments with slabs. You'll paint them with underglazes. I'll take them home for firing and if required I'll add a coat of clear glaze to make them shiny (£2.00 extra pay on the day). Note your work will need collecting after firing.